Forewarning: I think I should start out by saying that it’s no secret about what my feelings are for this game. I have been highly critical of LotRO since Mines of Moria. And I think that’s to be expected of any fan of an MMO who has been with it since the beginning. For all intents and purposes, I am still a fan of LotRO, despite how Turbine has treated its community. With that out of the way, I’m ready to give this my one last hurrah. Also, if you just want to read about Update 14, skip the Helm’s Deep and Update 13 sections (there is also a slight tl;dr imgur gallery here if that is more of your speed as well). Before we get to Update 14, I’d just like to talk about the elephant in the room first. Its name is Helm’s Deep. I always felt like Riders of Rohan was really Turbine’s last cavalry charge in the hopes to renew interest in a game that had since gone F2P. Mounted Combat, while executed poorly, could’ve turned into something interesting with some TLC. So when Helm’s Deep was announced, I was sure it would be incorporated in some way. Plus, we’d finally get to see Edoras and the Hornburg. It was truly Turbine’s last attempt to razzle and dazzle the MMO community and tell them that they were still relevant and going on strong. What we got instead was our NGE patch. And let’s face it, that’s what Helm’s Deep was. I know I’ve been dooming and glooming for years now, but there’s no denying the utter disappointment to Helm’s Deep. I still don’t know how anyone at the Turbine office thought the class revamp was a good idea. The trait build system brought with Mines of Moria was hailed as one of the more genius ideas this game has ever seen. Instead, they decided to axe 2/3 of the viability of our characters so that we could play “defined rolls.” The end result was predictable–classes ended up being only as half as useful as they once were with the compliment of skills they once had. Big Battles, unsurprisingly, fell flat on its face. Despite the beautifully-designed instances, nobody bothered with them. And why would they? Half-hour battles to achieve paltry rewards due to RNG and the fact that each BB acted as a daily. Essentially if a player had done one specific BB for the day, there was zero incentive to run it with someone else. And did I forget to mention that GB runs remained a more rewarding experience for only a fraction of the time and effort you need to put into it? Seriously, what were they thinking in believing that we would all want to do fifty or so BBs before we could get working viable builds within the support system? The lack of raids wasn’t anything new to this game’s life cycle, however. We’ve known it’s been a problem since Riders of Rohan, where the end game content involved your character doing an annoying amount of solo dailies to rebuild a town to get some gear. To this day I’m not sure what the point of all of that was. What is the point of end-tier gear if there are no end-tier boss fights? Did anyone really say, “Look at me, I’m the mayor of Nowheresville!” unironically when they had their full Hytbold gear? With all of this, could it possibly get any worse? Update 13 says: Yes It Can. I want this to sink in when I say it, so I’ll just say that I have seen every single update since this game’s inception–since Evendim was first released, to be exact. There can be no doubt that Update 13 is the worst update in LotRO’s entire release cycle of content updates. I don’t care how bad you think RoI was–Update 13 makes it look like MoM instead. I mean, I just cannot believe what was going through their heads on this one. Not only is the Book hugely underwhelming (you, once again, get to the story after the fact–they just took the existing Isengard assets and made it look destroyed). You do play an instance as an Ent that begins the assault on Isengard, but it immediately cuts short right before it gets interesting (“Break the dam!”). You don’t even get a spiffy cutscene like you once did to compensate for the fact that the game can’t handle something like water physics pouring into the Ring of Isengard and washing away its filth. It just cuts to black and that’s it. End of Book. The worst feature to Update 13, however, was the unbelievably horrible addition of Fangorn “Forest.” I put “forest” in quotations because it’s really more like Fangorn Park. Or, that is to say, it’s the size of one. And what is there to do in Fangorn “Forest?” Why, there’s reputation grinding. Oh, and yes, more reputation grinding. Hello, dear Scholars looking to get that new steel blue dye recipe. Would you kindly grind for 400 tokens and Kindred faction rating before you can make some blue dye? Update 13 was really the first clue anyone should’ve had that this game was set for maintenance mode. There was so little effort put into it that I just couldn’t believe it. I will readily admit I have often been a little too critical of updates in the past, but I cannot believe how absolutely underwhelming the update was. There isn’t even a single vendor NPC in the Fangorn hub. Not a stable-master, not a summoning horn, not a campfire, not any crafting facilities. I get it’s off the radar and all, but be practical. You’ve got an Elf in the glen–why didn’t you guys make him a stable-master? Why, by the dark and deep dungeons of Angband, did you not add a simple milestone? I thought it couldn’t get worse. It did. The official announcement that there will be no new expansion packs “for the foreseeable future.” There will be no new raids “for the foreseeable future.” Remember when they promised to give housing some TLC? Nope, backed out of that one. 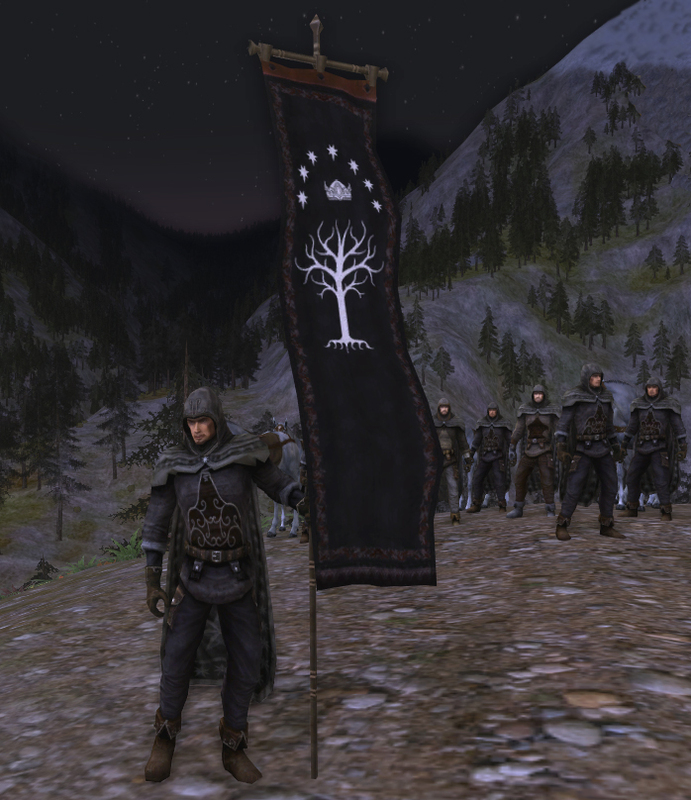 Turbine remembered that they had launched their NGE patch, but had forgotten to add the Jedi class, so Beornings will be coming soon as a playable class to a LotRO store near you. To anyone not wearing blinders, this spelled only one thing: LotRO is on the shelf next to DDO. I didn’t want to believe it. No one does, really. The game’s not finished yet. Frodo still hasn’t reached Mount Doom. How could this be the end when we’re only 2/3 of the way there? But I reserved judgement. I said, “Just wait for Update 14.” Maybe Update 13 was a fluke? After all, the promise of five additional levels and a whole new zone (a proper new zone, not the small park we got with Update 13) sounded like an expansion-level update. And that’s exactly what everyone was hailing it to be. What it really was was wishful thinking. I am, through and through, a Tolkien fan. I absolutely love the Lord of the Rings novels. I have friends in LotRO who share similar feelings. We all have our favorites. For some of those friends, their favorite was Rohan. The rolling plains, the Anglo-Saxon homesteads, the wooden and earthen burgs, the horse-lords of fame upon their coursers, and the lovely mix of earth-tone colors woven into the tapestries and livery of waiting-servants at Meduseld. You could smell the scent of fresh grass, the feel of blowing winds down over the hills, and the taste of mead. That was Rohan. Above all else, Turbine delivered on the imagery and immersion of the famed realm of Rohan. They did it justice. But for me, I always longed to see Gondor. Dearest Gondor, home to the Men of the West, last guardians upon the crumbling bulwark against the shadow of Mordor. They have seen kinstrife, they have lost a king, they have survived a plague, and the blood of Numenor is all but spent, yet they remain. They remain in their stone-walls, kept warm to the hearths in winter but opened their windows for the hot summer as the sea winds off the Belfelas would blow a strong hot wind. This is where we were going–southern Gondor. A place that holds a great fondness in my heart, as does its famed city known as Dol Amroth. And we were actually going to see it. I actually thought this would never happen in LotRO. But not even just Dol Amroth, but the Stone of Erech and the Blackroot Vale leading down through Tarlang’s Neck in Morthond. It would show the diversity to Southern Gondor–the highland peoples of the Blackroot, who were famed for their artistry with a bow, who braved the cold winters in the shadow of the White Mountains. Then down to Lamedon, yet another frontier township where Aragorn and the Army of the Dead made camp for the night before marching on to Linhir. Many of these men were simply men who had lived in the vales before the Numenoreans came and took the lands as their own. But above all else, there was Dol Amroth. The last city to host so many of the Dunedain. It was not Minas Tirith, fallen into disrepair in a sorry state of affair. It was ruled by the Princes of Dol Amroth, who come down from a long line of descendents, some of which are said to be from the pairing of Men and Elves. It is a high city upon Amroth, with cliff walls that guard against the crashing waves of the sea. It is a city of art and culture and history–a gem, a jewel amidst a crumbling kingdom. It represents the glory of Gondor when it was in its pride. Imagine this. You are standing along the parapet of Dol Amroth. You take in the deep breath of sea-salt air, listen to the waves crashing below and the gulls crying over the docks. High above, the Seaward Tower bell would ring out. In one of the gardens, a harper would strike up a luminous tune amidst the honking of a swan bathing itself in one of the fountains. The city would be impeccable, designed to the greatest standards that Gondorian craftsmanship ever knew. It was no ancient crumbling city like Annuminas. No, Dol Amroth was the crown jewel of Belfelas. It was neither old and ancient like Osgiliath, nor was it new. It was a city in its prime. Now imagine a clown driving up in his clown car, honking his clown horn, and jumping out. His face is painted and he wears a horrific yellow jumpsuit with reddish-purple polka dots. He has large green shoes that are far too big for him. He gives a goofy laugh as the soundtrack to some Tex Avery cartoon plays in the background. That’s…the Dol Amroth we got. This gaudy, hideous, kitsch nightmare of someone who went absolutely bonkers with a couple of art resources that they found in Annuminas and just slammed the copy and paste buttons to the point where no negative space existed. Then they threw up these hideous white on turquoise banners (the text says “silver upon blue” you illiterate) and if that couldn’t get any worse, they then just brought in all the Rohan NPCs, retextured their tabards, and called it a day. Prince Imrahil dwelt “…in his castle of Dol Amroth by the sea, and he was of high blood, and his folk also, tall men and proud with sea-grey eyes,” he did not dwell in a clean Ost Dunhoth where his folk were Rohirrim with dirty beards and brown and green eyes. I really wish I could say the design decision for Dol Amroth was the worst thing to come out of Update 14, but it’s not. In fact, aside from the new slotted armor, every single armor piece, every single NPC, every single art asset and texture, is reused from a different part of the existing game world. The sheer lack of effort put into what should’ve been an expansion region isn’t disappointing, it isn’t lacking in effort…it is just down-right revolting. Quest rewards? All Helm’s Deep art resources (whether it be the model on the player or the actual tooltip art). Those houses in the first town? Retextured Rohirrim houses. The furniture inside the houses? Retextured Rohirrim furniture. The furniture in the more fancy houses? Isengard furniture. You may say that none of this matters, but to you I say: stay in your high chair until an adult lets you out of it. This is a community that nearly ate Turbine alive when HD released and all the tooltips for the new crafting tiers and recipes bore the exact same art as RoR. The fact that you cannot even see why this is a bad thing speaks volumes to the depths that some people will go to defend a shoddy product. To help visualize this affront, picture a Rohan where every home is a Bree-town home, every NPC is a Bree NPC, all the horses are Bree-rep horses, all the armor and weapons are art assets from LV20 drops. And it just does not stop from there. For starters, we go through the same problem that we faced at the end of Volume II, which is we no longer care about the interesting NPCs we made friends with along the way. Remember the Four Riders? Or Horn and Nona? Yeah, me neither. Who cares, it’s not like there’s any other candidates with his Book quest. Aragorn is nowhere to be found. This would’ve been an ample opportunity to pick up right where we first started in Volume III with Grey Company, but nah, I guess it’s more important if I gather some vegetables for some farmer and then pick some flowers and rocks to make his kids feel better. Speaking of quest content, how about that LV98 gap? I thought they were done with this nonsense of not pushing out enough quests to get you to the level cap. I was thoroughly at the level cap before I even got to Helm’s Deep. You easily out-level the quests because of the sheer lack of volume to it. So you trudge through those Tarlang’s Crown quests and that takes you to 99. Then what? Do the one daily repeatable in Dol Amroth? Nah, you’re better off just doing Sword Halls like everyone else. Because nothing spells a Grade A content update when you don’t even push out enough content for people to reach the level cap without going out of the zone. This leads up to the worst grind in the history of LotRO–a grind that makes Hytbold look like delivering postage in the Shire. Firstly, the grind doesn’t open up until LV100. Don’t ask me why–if it opened up at 97 or 98, it would’ve taken care of the leveling problem entirely (well, actually, it wouldn’t have, as the quests do not reward XP, IXP, MXP, or coin). Anyway, there are EIGHT other rep factions in Dol Amroth, each representing a district in the city. Don’t have a heart attack just yet–to reach max standing with a faction, you only need acquaintance standing (10,000 rep). Every day, seven of these factions offer daily quests. Most of them are solo–the docks quests are actually total taking-the-piss quests that make you use the fishing hobby–a couple are small group, and a few more take you back to Tarlang’s Crown. Still with me? Like Hytbold, you can only do five quests from the entire hub itself each day. It gets better. None of the quests actually reward you with anything other than a gift box. This gift box randomly gives you either a rep token to one of the factions or a silver barter token for all those barter NPCs standing around. Let me repeat that–it’s random. You are at the mercy of RNG. So if you do Armoury quests hoping you’ll get armoury rep, let me just tell you right now that you’re going to be disappointed. On top of all of this, the specific dailies you complete are on another reset schedule. That’s right, if you do, say, one specific daily for the library rep faction, then you will not be able to do that quest the next day. Instead, the chance to do quests you have already done reset on Monday and Thursday, which means you will have to wait three to four days to repeat some of the quests. But hark, you’re saying, what the hell is rep for anyway? Well, on top of all of this, there is also a daily instance tied to the rep factions. It’s a low-effort instance, so keep your shorts on, and it’s also solo. It’s basically just Dol Amroth at night and instanced, but they add some NPCs. However, before you start the fight proper, you have to “select” which district you will fight for in the instance. Get this: you can only fight for a district if you have reached maximum standing with them. Lucky for you, they give away maximum standing with one faction off the bat, so you’re just stuck doing that one district’s fight over and over until you reach maximum standing with another district. Once again, the quests assigned to you are random (there are six different quests but you only get three) and the reward is, at least, a guaranteed gold token, but, again, the gift box gives you a random reward. This ultimately hits home to the last grind of all–deeds. Each district has its own deeds to complete. That includes the dailies they offer as well as the random quests you’ll get in the retake Dol Amroth instance. The only thing deeds are tied to is allowing you to barter for the class armor. That’s it. So if you want to sit through the most grueling grind Turbine has ever released to date, be my guess. Did I forget to mention that the rep tokens are also barter tokens? So there’s no such thing as stocking up. Each token gives you 500 rep, so you’re going to have to consume 20 of them just so you can be able to fight for other districts in the instance. Never mind that one faction rep doesn’t even open up until you open up Paths of the Dead via a server unlock feature (like Bounder’s Bounty and the Ring-lore events). Lastly, I would just like to take this time to talk about Turbine’s recent PR disaster after Sapience announced to the community that raiders are unimportant because they supposedly only make up for 10% of the community. I say: 10%? Really? That many? To the 10%: what the hell are you still doing here? You know there are other MMOs out there whose developers are actively developing group content, right? I, and many others, had a chance to ask Executive Producer Aaron Campbell (what is this, our fourth new producer?) some questions on a recent LotRO livestream. As everyone knows, ever since the Sapience blunder, what’s left of the grouping community has been out in full force. They were there in the livestream as well, and despite Sapience saying they weren’t going to side-step the questions, it’s exactly what they did. When someone mentioned what was the point of adding high-tier gear if there was no group content, Campbell suggested the public instance on some island north of Dol Amroth constituted as group content (it’s actually small group content full of elites–so basically it’s solo content for Wardens and LMs). So that’s the new end-game, guys. Enjoy. 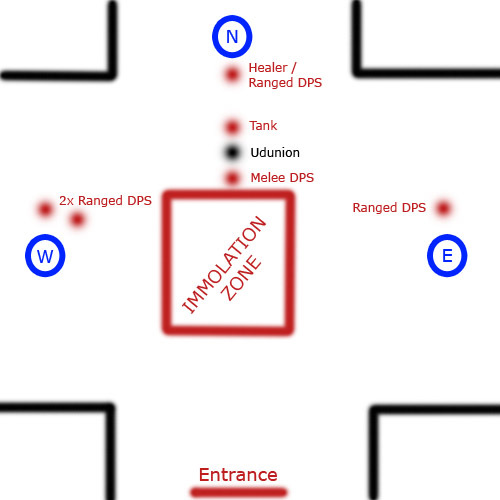 When I mentioned what was the point of the ridiculous respawn rates in Tarlang’s Crown (group mobs will respawn before you are able to kill off the last mob in a group, essentially putting you into permanent combat until you decide to run off aggro), they cited it so the content would be “challenging” and so you couldn’t just “roll through it.” Well, I’ve got news for you, guys. Those respawn rates don’t make the content challenging, it just makes it annoying and frustrating. This is like how most developers tackle the issue of difficulty in their game by just beefing up enemies or making players take more damage as opposed to, say, having enemies go through set stages that, if something isn’t done, it would make your life a lot harder (See: Udunion boss fight). When someone mentioned raids, Sapience changed the question to “instances” and pretty much just repeated what was said already–that they did release “instances.” I guess since you need a raid to do Tarlang’s Crown at those respawn rates that counts, right guys? There can be no doubt that LotRO is now officially in maintenance mode. They cannot deliver on the standard of quality they once were able to (there wasn’t even a new crafting tier with U14–although I guess that makes more sense if all the quest rewards are Rohirrim items and all the NPCs are Rohirrim in disguise), they cannot do new art resources for areas of the game that should truly be unique, they’ve all but confirmed that we’ll never see a proper raid ever again, they have no plans to work on bare-bones systems like housing, and, as far as we know, there will never be another expansion again. About the only thing you can expect from LotRO these days is them unlocking new regions and throwing quests in them and ensuring that everything is tied to the store in some way (because why else introduce something like the Essence system when the barters for them are also gift boxes, which, again, means you are at the mercy of RNG?). What they really are is SOE circa 2005, believing that all the decisions they make are correct, that failing profit margins are nothing to worry about, and that all criticism should be ignored because, well, in the words of their own CM, only people who have something to complain about post on forums, therefore their feedback shouldn’t be considered. All I can really say to you guys is this: give John Smedley a call and ask him how all of those tactics worked for him in the end with Star Wars Galaxies.